I'm hoping to start a podcast this fall. Still brainstorming on ideas, so stay tuned! Is that my color, or what?! It's called Candied Yam, and it would make the most perfect Thanksgiving sweater EVER, am I right? Of course, that may be Thanksgiving 2017 before I'm done with it, but hope springs eternal! 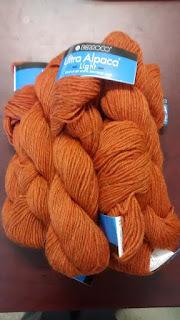 I also love to knit shawls in the fall. I mean, look at this. Did you ever?! 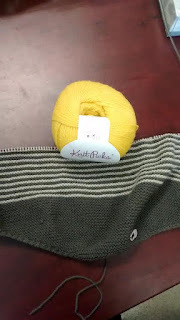 That yellow will be the third striping color added in soon, with short rows. Sublime. Don't you just love the colors? 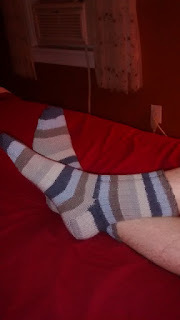 I still have a lot of sock knitting to do, don't I? But I love socks, so it's all good. Goodness, do I love fall themed cooking, and I ADORE our crockpot. I love just dumping stuff in there in the morning, and then you come home and smell this wonderful, completed meal aroma. It's like divine intervention cooking or something. And if it involves squash or pumpkins, all the better. Right. The Catholic Book Club. :0 I've been slacking a little bit. If you looked on my Kindle right now, you'd see that I've read nothing but Amish and cozy crafting fiction all summer.That's just the way it is sometimes. ;-) I have the latest book in the young adult John Paul II High series on my list for August, Near Occasions, and I plan to read it as soon as I'm done with the Amish mystery I'm currently reading. I think I'm over 70% of the way through it, too. So, what this means is that the book club is still alive and well, I'm just going to bump our next date to the following week. Which will be September, I will grant. ;-) But we'll get there! Then I do have a book for late September planned, and subsequently need to add to the list. Keep your eyes peeled! What are YOU looking forward to this fall, dear reader? All right everyone, have a great weekend, and I'll talk to you next week. 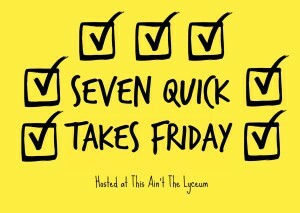 In the meantime, check out more 7 Quick Takes over at This Ain't the Lyceum! Oh Beth Anne, yes GO, YAY! That's how I learned to knit, from a class at Jo Ann's. :0 I bet you'll love it! Let me know how it goes. A new fall choreography - much fun. I don't know whether I should pull for the veil or the sword; both are so lovely in their way. I'm sure that will be fun. Your knitting looks just beautiful. I love that sweater - the details are great. 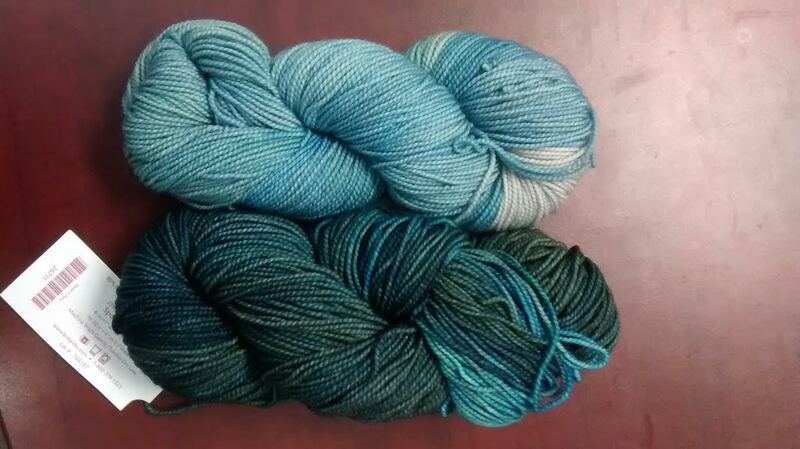 I really like the detail on the side shot with the plain knitting under the arm. Such a pretty lace pattern. Hi Amy! Yes, fall brings lots of freshness, doesn't it? :) I'm thinking of using that song "Drama Queen," not the most flattering of titles, I admit, but I love the music. Who is that again...Sahar. Great instrumental piece, mix of fast and taquism, sublime. It would go well with a veil, I think. Or prop-less. Thank you for your knitting comments! 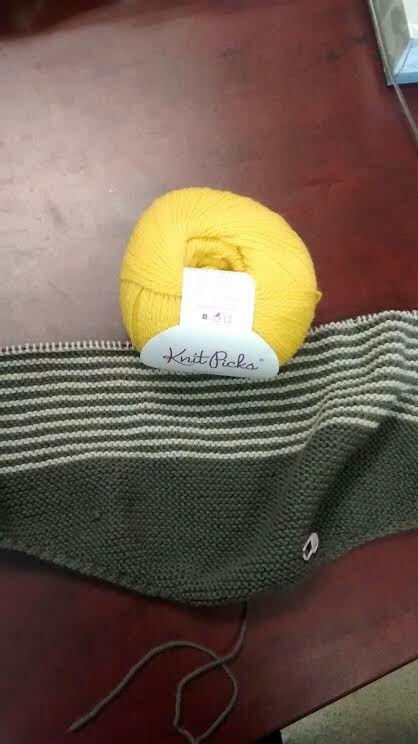 I love that sweater pattern, but I'm thinking the lace is going to be time consuming. :) Worth it, though! Yes, that's a nice piece of music. I really like the opening drum work, and the melodic line is lovely; there is a lot a person can do with that.